ISPS Innovations create custom coloured Acrylic Splashbacks, available in any colour and print. We will beat and better any written quote & warranty on custom coloured 6mm Acrylic Splashbacks in 6mm cut to size custom Acrylic Splashbacks and Wall Panels. Call ISPS Innovations 0883818880 national delivery. Custom CulourTEK benchtops hand made finishes, in any gloss level and colour combination. ISPS replicate stone, timber or marble finish. and a nation of people with our custom innovative interiors. 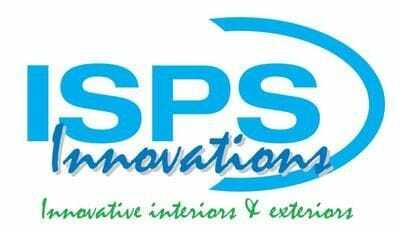 ISPS Innovations custom coloured and designed range is provided direct to , DIY Renovators, Architects, Designers, & Builders. ISPS Innovations last because we know and understand the mechanics of ensuring the substrate conforms with the coating. Allowing expansion and contraction to unite as one, eliminating a number of problems caused by faulty spraypainting methods or fixed joins that separate. ISPS Innovations, have the proven colour face technology, unlike other inferior spray painted finishes that fail, ISPS Innovations are he proven polymer coloured system. We are a family business and understand the imporatnce of quality, reliability. ISPS Innovations provide standards and proper cleaning procedures that will see your product last past its warranty. ISPS Innovations Colourface technlogy is robust and performs to Australian Standards. We are the only company in Australia to provide a harden shell (GRIPTEK barrier backing) to the backs of our printed splashbacks, so no flaking, no bubbling or delamination. ISPS Innovations are Australian Made and Australian Standard compliant. ISPS Innovations supply toughend glass splashbacks and mirrored glass splashbacks, IPA Acrylic Splashbacks and Benchtops and Bonethane High Heat Polymer Splashbacks to Sydney, Melbourne, Adelaide, Brisbane, Northern Territory Darwn, Perth & Tasmania. Custom Splashbacks, joinery and resurfacing addressed Australia wide.